Select that image, which you want to add on your label. You can add as well as modify text on your label using "Text Properties". 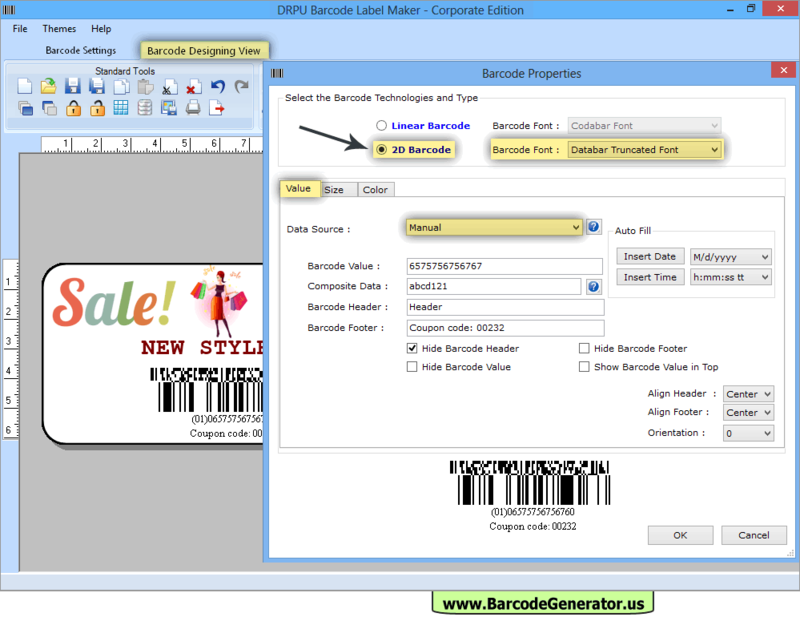 Double click on the barcode which is on label and modify it's properties using Value, Size and Color tabs etc. 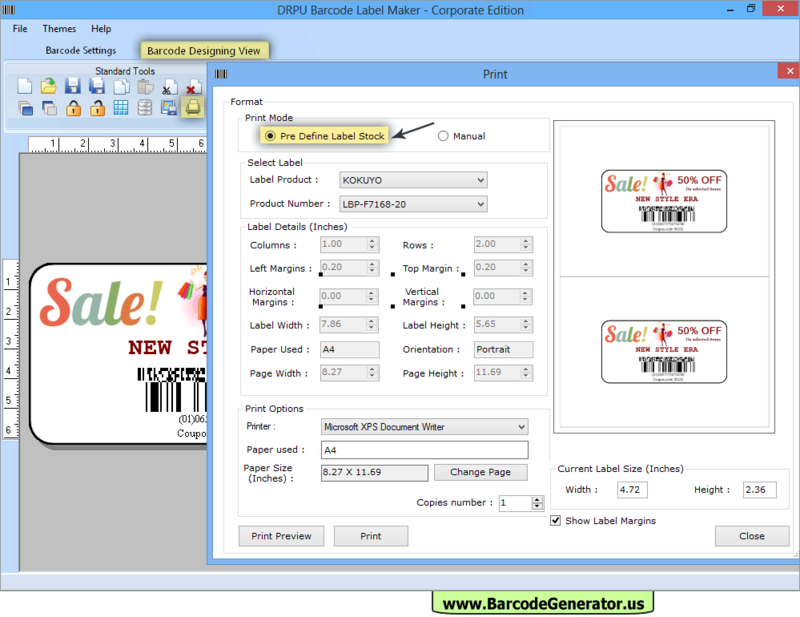 Select Print Mode (Pre Define Label Stock or Manual) and Label Product to print designed barcode. 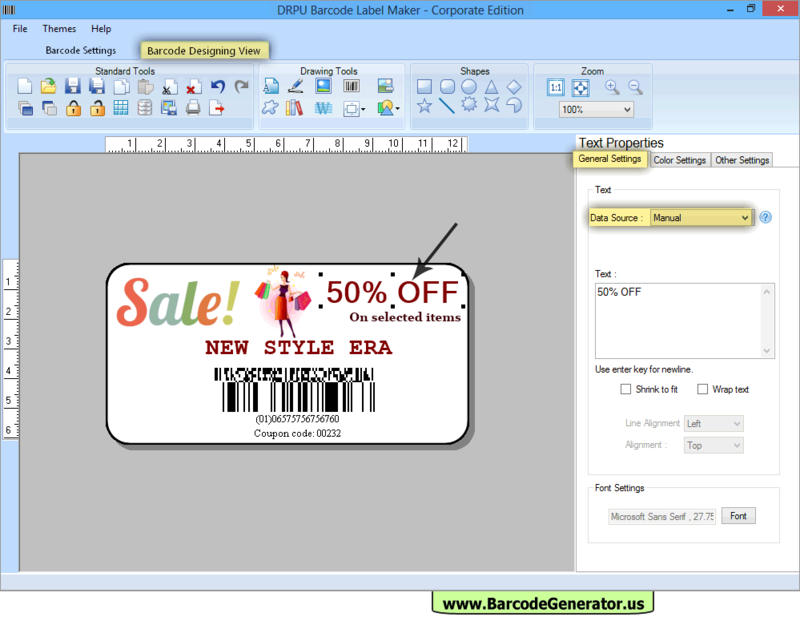 Then click on Print Button to print your barcode labels. 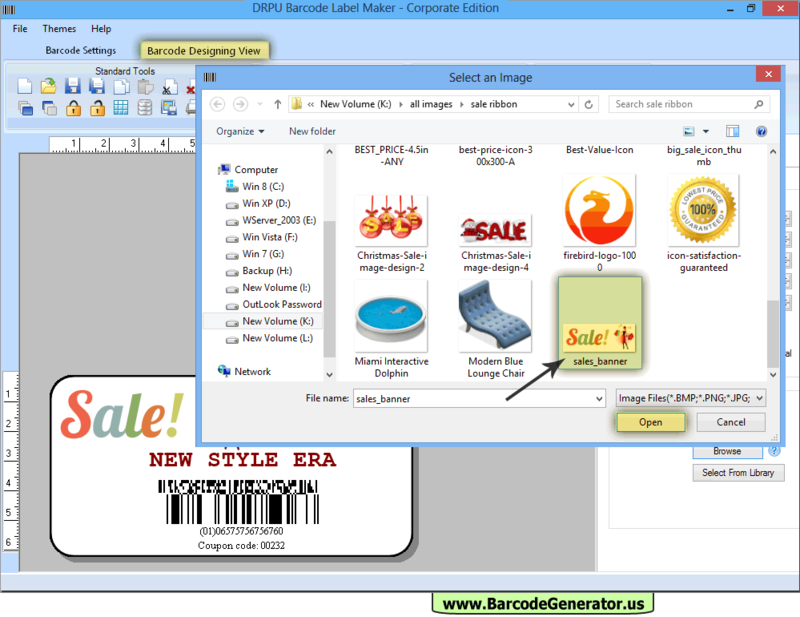 You can also view print preview of your labels using print preview button before printing.